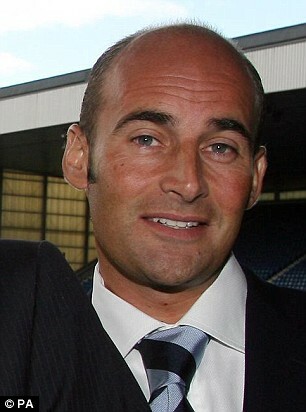 Martin Bain v Rangers – the Plot Thickens! Now Rangers Attack Bain and Their Ex-Lawyers! 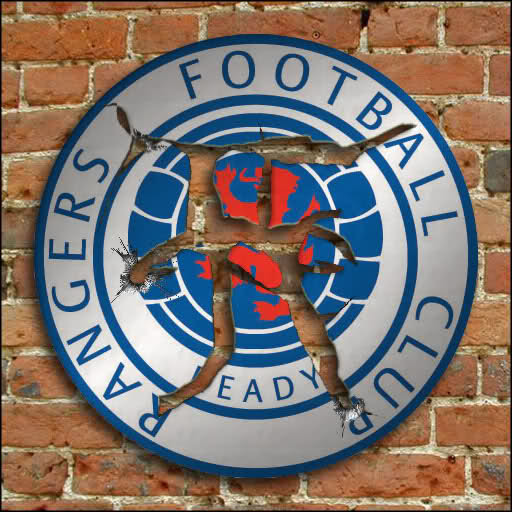 Is it time for the cracked crest? I blogged at Scotzine.com at the weekend about the generalities of the case between Mr Bain and the team he used to run as Chief Executive. I speculated that, even although Mr Bain had been unsuccessful in an earlier application to arrest funds in Rangers’ hands, the freezing of £2.8 million by HMRC in relation to what is known as the “little tax case(! )”, might allow him to have another bite at the cherry. Little did I suspect that his lawyers would be back in court as soon as today! The BBC has reported that Mr Bain today succeeded in his renewed application, having been given authority by Lord Hodge for arrestment of up to £480,000 in Rangers’ hands. In recent days Rangers have been very vocal in criticising reports of their alleged financial difficulties. Now however, we have a judge reaching certain preliminary conclusions about their finance. At the hearing Rangers’ counsel Brian Napier QC said the motion for an arrestment was opposed and claimed that Mr Bain had not shown there was a real and substantial risk of insolvency. Lord Hodge said that he was concerned with the degree of possibility and “not actuality or even probability of insolvency”. He was not persuaded on the material before him that Rangers were presently insolvent “either practically or absolutely”. The BBC reported that Rangers are contesting the action raised by Mr Bain, which is not a surprise, and that they have raised a counter claim against Mr Bain alleging breach of contract and fiduciary duties. Mr Napier argued that Mr Bain had held responsible positions at Rangers over a period when the two major alleged debts relating to tax liabilities were claimed to have been incurred. Whilst the precise details of the allegations against Mr Bain by Rangers have not been made public yet, until there is a further leak, as with his initial claim of course (such leaks being entirely deplored) this gives some idea as to how Rangers want to deal with the case. On a legal note, the grounds of appeal are fairly limited. The judge has discretion to decide if the arrestment should be granted. Unless it can be shown that he took into account irrelevant considerations, ignored relevant considerations, or reached a decision that no reasonable judge could have arrived at (and based on the reports, brief though they are, none of those seems likely) any appeal against the arrestment order is (a) likely to fail and (b) simply going to cost Rangers yet more in legal fees. It is quite true that the case has not been heard yet. This procedure is a protective matter, being action taken by a claimant when they have serious doubts that the funds will be there to pay them if they succeed. But Rangers have gone further in their efforts to fight matters, heading out of the Court of Session and into the court of public opinion. One might say that Mr Bain had the interests of Rangers at heart till the new ownership decided to pre-empt their “investigation” by Craig Whyte announcing that Mr Bain was not coming back to Ibrox! The BBC then quote “a source close to Craig Whyte” as saying, “It was clearly intended to embarrass the club in the run-up to the first Old Firm game of the season”. The source is also stated as saying that the details of the counter-claim by Rangers against Mr Bain, which apparently claims he breached his contract and duties as a company director, could be “explosive”. First of all, I suspect that the timing of the application to Lord Hodge was motivated by HMRC’s actions rather than by some effort to “embarrass” the team in the run-up to the Celtic v Rangers match this weekend. And such an accusation seems to imply that it is simply a spurious approach to the court, which is belied by the fact that Lord Hodge granted it! Bearing in mind the annoyance expressed at the weekend by Rangers about the leak of details of Mr Bain’s claim, it seems rather hypocritical for these “sources” to be leaking allegations about Mr Bain in response. As I mentioned in my article linked to above, I do not think that the leak of the “Bain Papers” was in the interests of either party to the case. From what was said in court on Rangers’ behalf it seems that they wish to blame Mr Bain for the tax issues assailing the club just now. If it could be shown that, in a hypothetical company, a senior Executive had acted in a way which breached taxation rules, landing the company with a huge and unexpected tax bill, then that Executive might expect to be dismissed and sued. 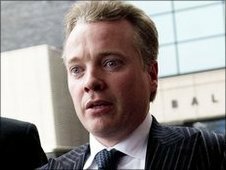 But according to Rangers owner, Craig Whyte, they are very confident about the outcome of both tax cases. This relates to the claim for £49 million. It is odd that Mr Whyte thinks the tribunal is in November. I suspect that if I was in charge of a company facing such a large bill, I would know to the minute when the hearing was due to take place! So, we have Rangers’ owner stating that he knew about the tax issues before he took over; that he is confident of winning the ”big” case and that they are dealing with HMRC re the “little” case despite not having sight of the paperwork. And, at the same time, Rangers’ counsel is stating that the tax issues are in some way related to the defence of Mr Bain’s action, which includes a claim for salary not paid up till his departure in June. Do Rangers seriously intend to maintain the position that Mr Bain is due nothing? It seems so, and aggressive statements by spokesmen and “sources close to Mr Whyte” can only be intended to try to persuade the fans, and perhaps the media, that all remains well in Ibrox. Rangers Take on Levy & McRae Too! I had meant to write separately about the statement issued on the Rangers website on Friday. I find this to be a remarkable statement, and a precursor to the aggressive stance taken today. Effectively the statement accuses Levy & McRae, one of the top legal firms in Scotland, of misleading the Court of Session. Accusations of misleading a court are very serious for any lawyer, striking at the heart of their professional responsibilities. From the reports published, it does not appear that Rangers’ counsel on Friday took the opposing advocate to task in open court for these comments. I would not be surprised if we were to see some further action, even if only a call for a retraction and apology. Perhaps their counsel refused to make such comments – we do not know. Why would they be so outspoken about their former lawyers? There is a personal element here, I am sure. I suspect that the reason why Levy & McRae proceeded so quickly, and why they are able to represent Mr Bain, is that it was made clear to them that Mr Whyte had his own lawyers lined up to act for Rangers. As the Levy & McRae connection was therefore ended, they had no qualms in immediately pursuing what they were due and when Mr Bain came to see them, feeling entitled to act for him against their former clients with no question of conflict arising. It seems remarkable that, in the course of five days, Rangers have publicly criticised two parties who have taken court action against them. I cannot imagine any legal adviser counselling that as a course of action. Perhaps Rangers’ PR team have seen this as the way to go – it will only do them harm if they continue on this route. There are rules about contempt of court which restrict comment on matters which are progressing through the judicial system. It would be an ironic conclusion to this sorry saga if executives of Rangers found themselves summoned to the Court of Session to answer charges of contempt of court! As it stands now a judge has publicly declared in court that insolvency is a possibility for Rangers. The assurances of Rangers’ counsel that there is sufficient money there were rejected. Does this bring closer the possibility of Rangers entering administration with the consequences that might bring? Rangers right now have more important contests to win than the Old Firm game at the weekend! RTC’s Lord ‘Wobbly’ Hodge not impressed with Rankers finances. Nothing new in that! !